The lack of affordable, high-quality new housing remains a hot topic in the UK, with home building targets not being met, and developers regularly coming under fire for land banking and putting profits before people's housing needs. 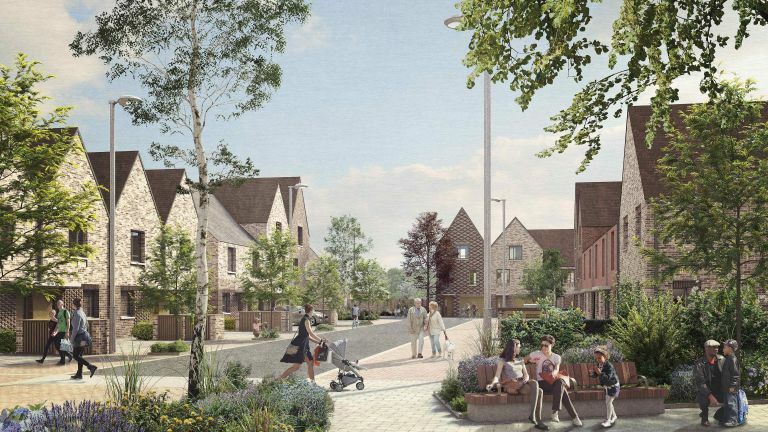 Fortunately, there are notable exceptions, and Nationwide's proposals for a brand new development in Swindon is an example of a community-centred approach to building. On 31 January, Nationwide submitted a planning application to regenerate a local Swindon site formerly known as Oakfield Campus – with the focus on building a connected, thriving community, not just houses. The Oakfield development would include 239 new homes for sale or rent, with 30 per cent of the housing classed as affordable – much higher than the current national averages, and in line with the government-recommended target of 30–50 per cent. The proposal has been developed in close consultation with local Swindon residents, taking into account their needs and preferences, including ceiling heights, driveway and garage space, and access to communal green spaces. While the new homes will not come with large private gardens, they will have patios, and all residents will be able to benefit from communal green spaces designed as part of the development. The building society also employed its first Community Organiser to work with residents on any issues they wanted to raise. In this community-oriented and inclusive approach, Nationwide is going back to its roots as a building society. Letchworth, Britain's first Garden City, was build with the help of Nationwide's predecessor. However, it's important to stress that the Oakfield development will not be a 'garden city' exclusively for locals. Homebuyers from all over the UK will be welcome, and it won't be necessary to take out a Nationwide mortgage. Prices for the new homes will range between £200,000 and £350,000, depending on size and property type (a range of housing options will be available, including cottages and terraced homes).